As a designer I see everything in color. It’s my job to figure out what shades we’re going to use in an upcoming product line; how the colors of our products will fit into current home decor trends; and to always be thinking about color theory 101. I work with color daily, and am always in search of new inspiration. 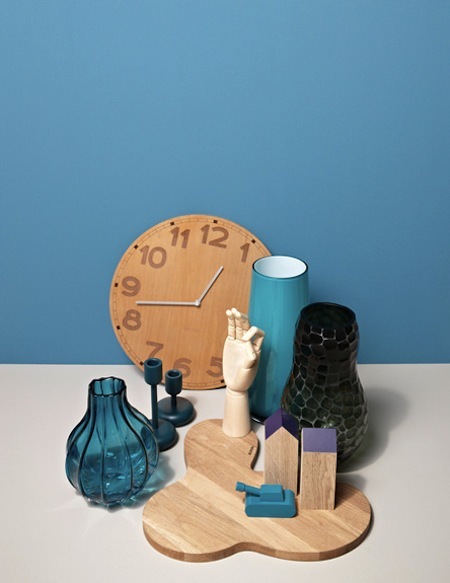 I recently discovered the work of photographer Jonas von der Hude and fell in love with the beautiful color stories he shot for SCHÖNER WOHNEN in Germany. These images are truly inspired. 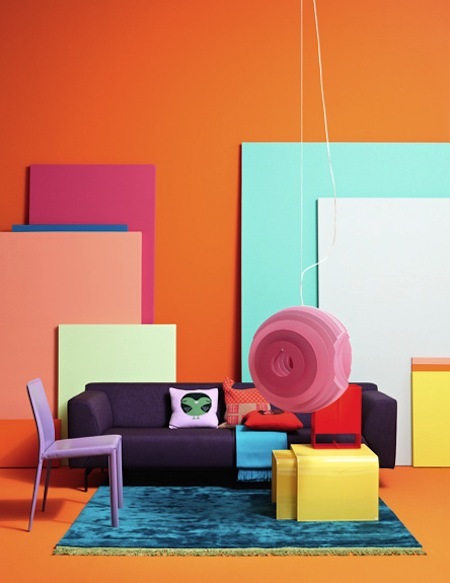 Each color story is stunning, like this neon color palette. 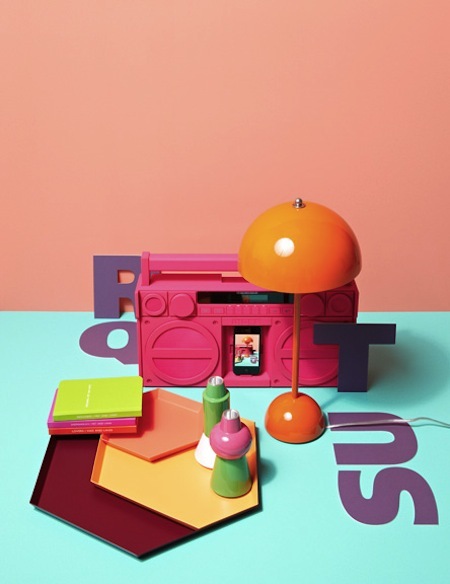 Hot pink, tangerine, and lime green stand out in this fun palette. 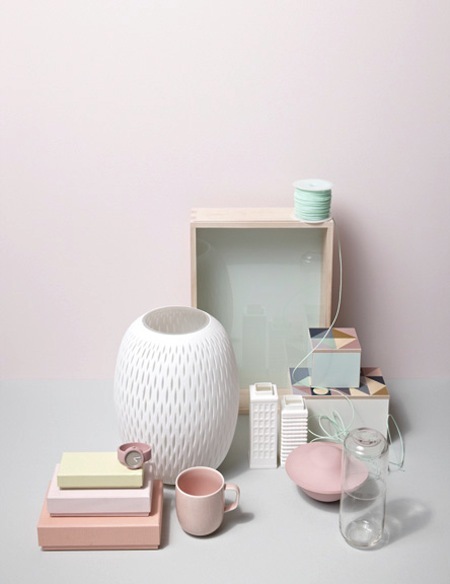 On the opposite side of the color spectrum, calming pastels make a statement. I love the soft pinks and blues. The soft pastels make you linger on the beauty of each object just a little longer. Blue and beige are two colors that are used over and over again in many interiors. 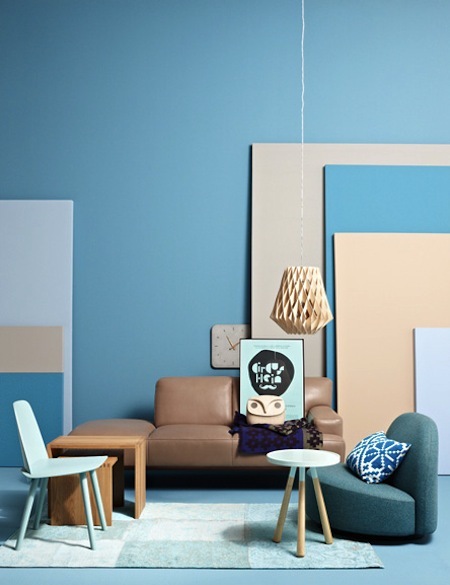 Here, I like the concept of an icy blue-saturated space with touches of brown to break up the bright shades. 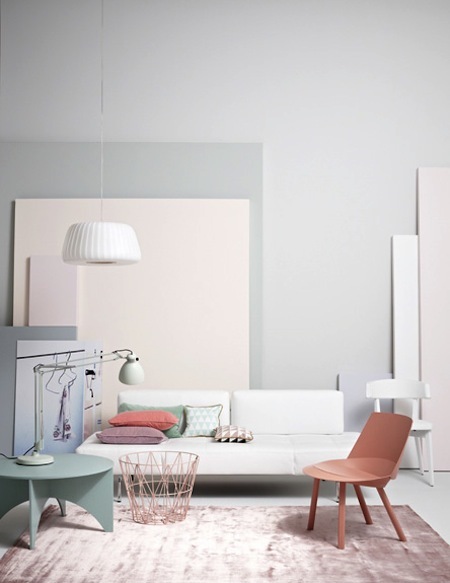 A little bit of purple can also be introduced to give this color palette some variety.